Hi, I am interested in your 2019 Weekend Warrior Widebody listed on Autotrader. I'd like to get more information about this vehicle and confirm its availability. 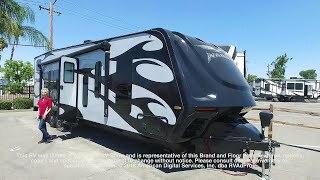 2019 WEEKEND WARRIOR JJ2900 TOY HAULER TRAVEL TRAILER. ONLY THE BADDEST NEED APPLY FOR THIS BAD TO BONE WARRIOR. IF YOU WANT THE TOY HAULER THAT SETS THE STANDARDS THE OTHERS CANT MEET CALL 855-235-0291 TODAY!